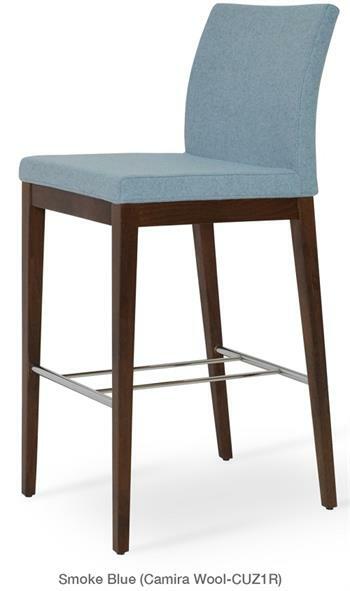 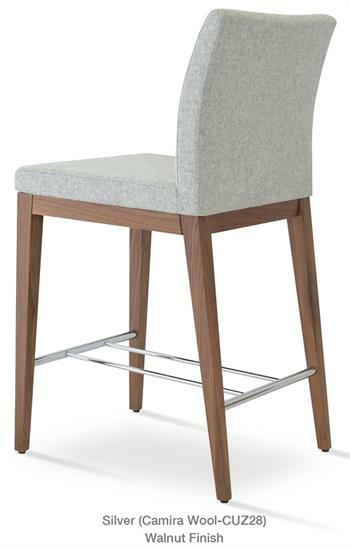 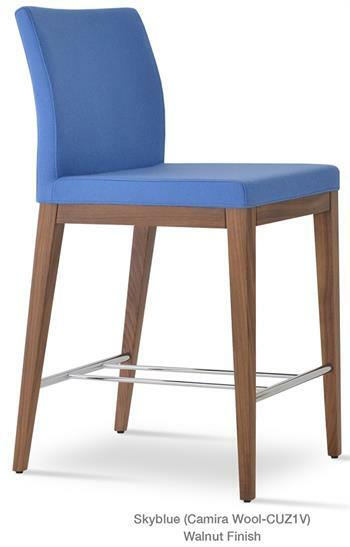 Aria counter stool with wood base is a unique stool with a comfortable upholstered seat and backrest on solid wood legs with great wood finishes. 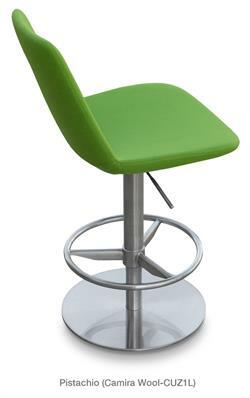 With chromed steel footrests, it becomes an ideal solution for kitchen counters and bar counters. 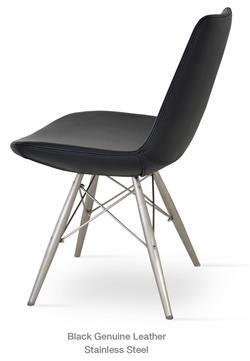 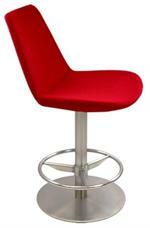 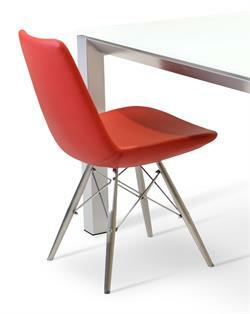 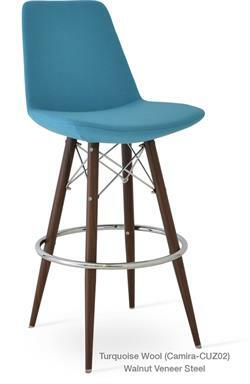 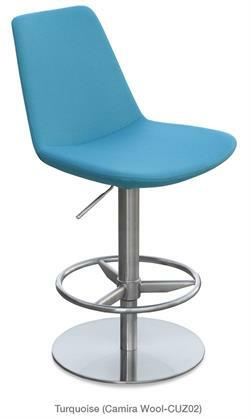 The Aria counter stool chair seat has a steel structure with S shape springs for extra flexibility and strength. 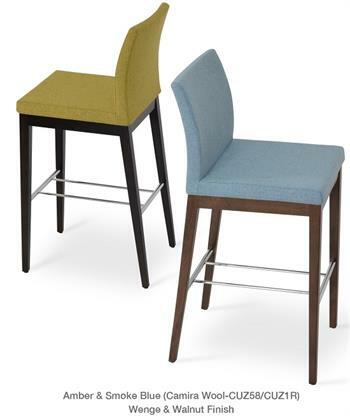 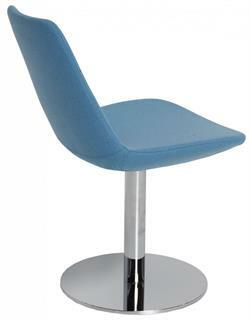 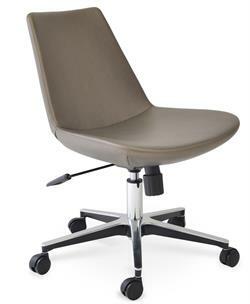 Aria counter stool seat is upholstered with a removable velcro enclosed leather, PPM or wool fabric slip cover. 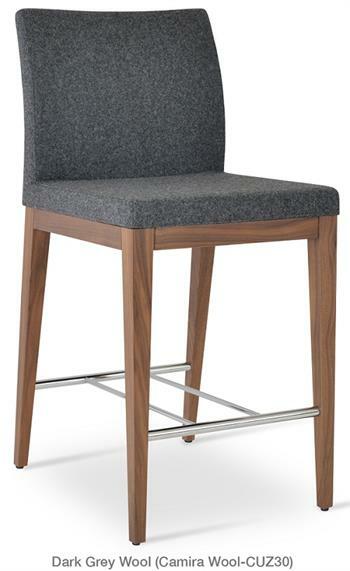 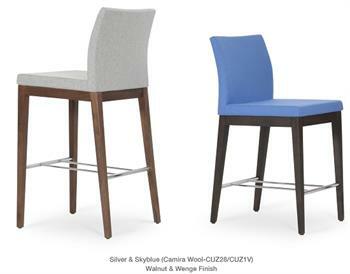 The Aria counter stool is suitable for both residential and commercial use and can be ordered as counter stool or bar stool. 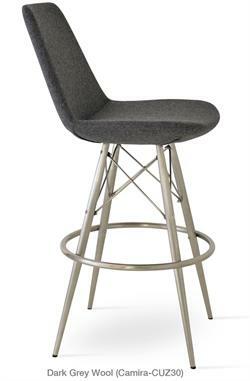 The Aria Counter Stool with wood base by Soho Concept chair is suitable for both residential and commercial use as a home barstool, home counter stool, kitchen stool, restaurant barstool, restaurant counter stool, commercial barstool or commercial counter stool. 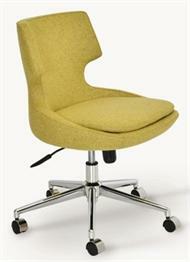 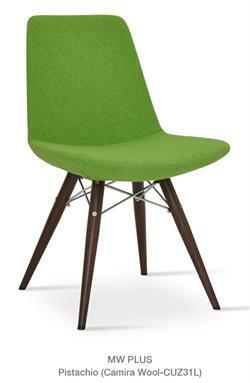 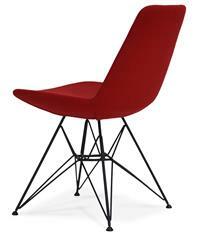 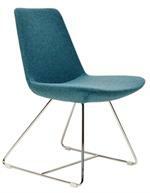 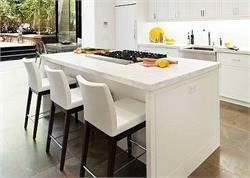 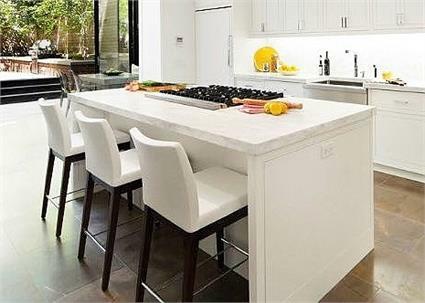 Aria Wood Chairs to match on this site. 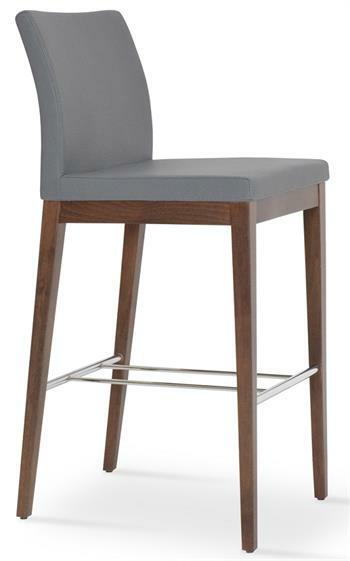 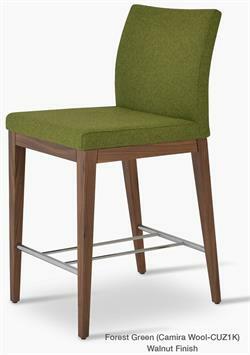 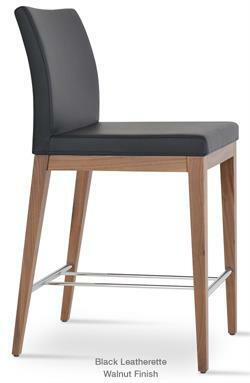 Aria Counter Stool Wood Base: H 36" W 17" D 21" Seat H 24"
Aria Wood Barstool: H 42" W 17" D 21" Seat H 29"